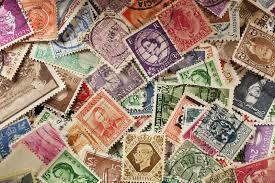 Many grandparents have fond memories of collecting stamps when they were younger and now wish their grandchildren would start their own stamp collection. These seniors remember that stamps were a fun way to learn about U.S. and world geography, famous people in history and all sorts of information about countries, science, art, nature and other subjects. To encourage young people to consider taking up the hobby, the Museumon the Regis has declared June to be “Grandparents Month” and is inviting grandparents to bring their grandchildren to the Museum to help them learn about stamps and stamp collecting. The Museum has prepared free children’s starter packets that include US and world stamps, first day covers, a beginner’s album, a booklet about how to start the stamp hobby and many helpful websites. 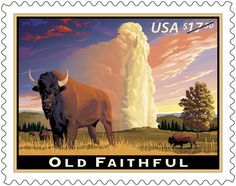 Also on display will be many US commemorative stamps starting from the 1930’s that should bring back grandparents’ recollections of their collecting days. Grandparents are also welcome to bring their old album to share with the Museum staff. Everyone is also invited to share a piece of our July 4 Stamp birthday cake. Free packets of stamps for the children as always. If you wear something red, white and blue, you will get a discount on admission. Because of a generous grant from the Highland Street Foundation, there will be no admission charge for the Museum’s celebration of the Olympics on July 15. View an exhibit showing how past Olympics have been honored on stamps. There will be plenty of hands-on activities and games and puzzles for both children and adults to learn more about all the events. You can make your own collection of Olympics on stamps to take home.Several past Olympians have been invited to visit. Exhibit celebrating the 100th Anniversary of the National Park Service. In connection with the recent International Stamp Show in New York City, USA Today featured on article in their travel section about ten stamp related locations for people to visit to learn more about stamps and stamp collecting. The Spellman was one of the ten. 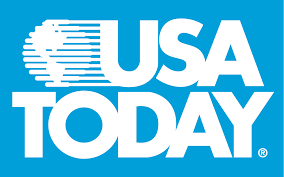 To read the complete list, click on USA Today. NEED A LAST MINUTE GIFT FOR DAD? 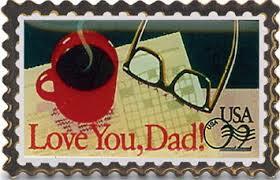 Still need a gift, stamp related or general, for your Dad? Stop by the Museum this weekend and see what our gift shop has to offer. 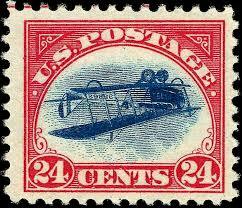 We have stamp supplies, small collections, books on stamps and even the traditional gift of a stamp tie. Although the Museum is closed on Sundays in July and August, the Riverside Stamp shows will be held on Sunday, July 10 and Sunday August 14 from 10:00 – 3:00. Admission is free to the show and the Museum galleries. Again this year, the Museum is participating in the Blue Star Museum Families program. This program, which involves over 2000 museums nationwide, provides free admission on any open day until Labor Day for members of the military and their families. The Spellman is proud to be a participant. A list of participating museums is on the Blue Star website at Military.